Interest and aptitude are both advantages for those pursuing a professional career, but as Ir Thomas Chan, the HKIE President for Session 2017/2018, will tell you, passion and dedication are even more important. Ir Chan joined the engineering profession at a time when structured training was not yet established and worked his way up to become director for building mechanical, electrical and plumbing in the China region for WSP. Interest and aptitude certainly played a part in his choice of profession, being a youth who, along with one of his brothers, liked to tinker with electronic gadgets. The key to him becoming an electrical engineer, however, were two inspiring teachers who were also engineers. "When I was in secondary school both my mathematics and physics teachers were engineers and I learnt about electromagnetism from them. 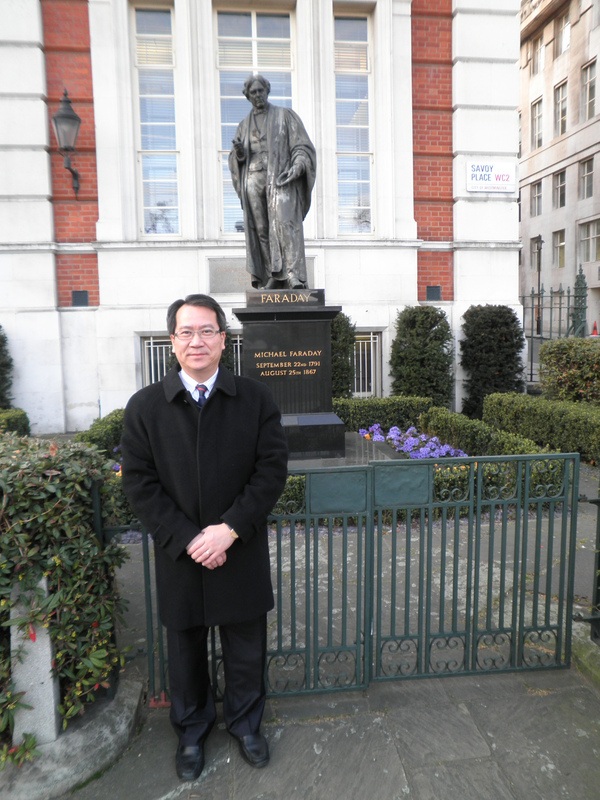 It was rare to find engineers teaching in secondary schools so I was lucky," Ir Chan said. After secondary school he enrolled at the former Hong Kong Polytechnic to study for a higher diploma in electrical engineering. Upon graduation in 1982, he joined an engineering firm that assigned him to work on a hotel project in Macau, thus beginning a fruitful career in building services engineering. "The company was responsible for the complete building services installations in the hotel. I didn't know anything about building services installations and eventually learnt everything on the job," Ir Chan recalled. "What's even more important is I learnt interpersonal and problem-solving skills too." After the first phase of the Macau project was completed, in 1984/1985, Ir Chan returned to Hong Kong. The timing was perfect for his personal development as China's economy was starting to take off and his company began to invest in the Mainland by setting up a design division, which Ir Chan joined, thus making the switch from building services installation to building services design. 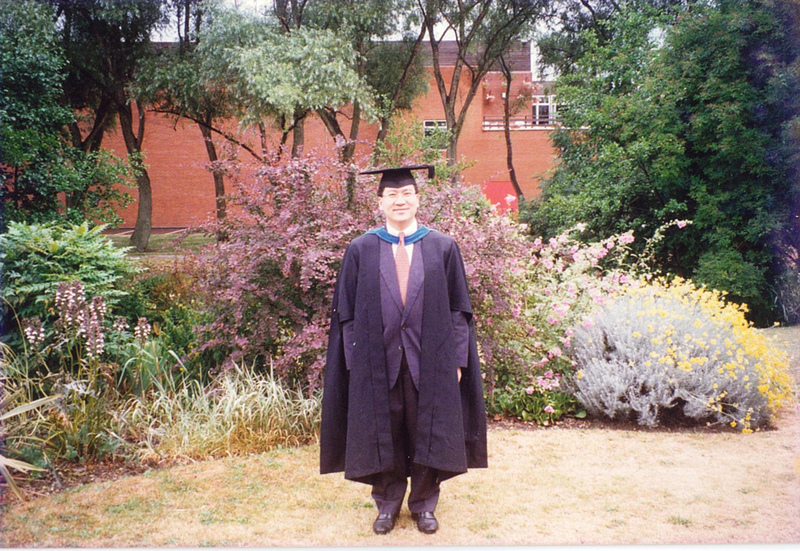 Keen to improve his qualifications despite having already become a chartered engineer, Ir Chan took up an MSc in building services engineering at the UK's Brunel University in 1992. By then he had already joined Parsons Brinckerhoff (PB), which was eventually acquired by WSP in 2014. "I joined PB as a senior engineer and my first few projects were the Metro Plaza in Kwai Chung, VTC Pokfulam Training Centre Complex and the Eastern Law Courts Building in Sai Wan Ho. That was the time when I learnt about building services design and project management in more depth," Ir Chan recalled. The rapid development of Hong Kong in the 1990s, when the Airport Core Projects were in full swing, gave Ir Chan the opportunities to participate in major power transmission and distribution projects and to join forces with international designers and contractors. Designing the power supply system for the new airport island at Chek Lap Kok was a particularly memorable experience due to the size and complexity of the project, which required multi-disciplinary collaboration and international exposure. With the arrival of the new millennium Ir Chan began to participate in a specialist area of building services engineering: healthcare facilities in hospitals. "I'd never handled healthcare projects before, venturing into this new arena was challenging. In fact safe, reliable and effective healthcare engineering systems are vital in running a life-supporting hospital," he said. Following the SARS outbreak in 2003, his firm participated in the conversion of standard hospital wards into isolation wards. Towards the end of the 2000s, Ir Chan capitalised on the opportunities to improve health care facilities in Hong Kong, taking part in the development or redevelopment of both public and private hospitals. "The company worked on several major hospitals including Wong Chuk Hang Hospital, Haven of Hope Hospital, North District Hospital, Tseung Kwan O Hospital, Pok Oi Hospital and St Paul's Hospital redevelopment. Towards the end of the 2000s I worked on private and public hospitals such as the redevelopment of Adventist Hospital, redevelopment of Kwong Wah Hospital, Hong Kong Sanatorium & Hospital extension and Hong Kong Baptist Hospital extension," Ir Chan said. Most recently added to his portfolio were the development of the Gleneagles Hong Kong Hospital, one of his favourite projects; along with the Tseung Kwan O Hospital extension. 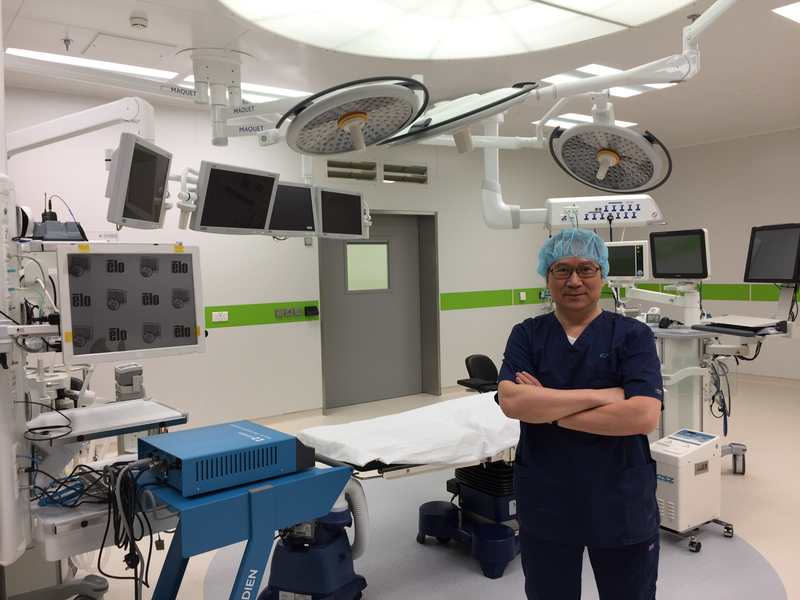 Ir Chan has a keen interest in hospital projects because the evolving standards of health and safety as well as rapidly improving medical and digitalisation technologies provide him with opportunities for continuous learning. The importance of learning to Ir Chan is reflected in his efforts to secure a postgraduate diploma in electrical power system from the UK's University of Bath in 2006, when he was already an established professional. It is also showcased in his involvement in the educational sector - he sat on the Building Services Engineering and Electrical Engineering course advisory panels of the Hong Kong Polytechnic University, City University of Hong Kong and Institute of Vocational Education. Aware of the shortage of building services professionals and the need to increase supply by raising the number of university places available on building services engineering courses, Ir Chan also co-authored a paper on the importance of building services engineering in Hong Kong, to argue for more funding for building services engineering courses. "There is a demand for building services engineers but not enough graduates to meet the demand, so firms have to recruit electrical and mechanical graduates instead. Building services engineering courses give students the chance to be involved in actual building services design and equip them with the hands-on knowledge that employers need," Ir Chan said. This is especially the case if Hong Kong is to become a smart city, given the challenges of building automation and smart building applications that integrate internal service communication, operation and maintenance and other functions. Given his wealth of experience, Ir Chan is keen to nurture the next generation of engineers, in his professional as well as institutional capacities. As WSP's training director, he oversees the firm's Scheme "A" training programme. "There was no Scheme "A" training in my time so I had to rely on training on the job. Today's young engineers have the benefits of a structured training to help them but they still need a better understanding of the foundational principles of engineering in order to advance their career. That's what I focus on when it comes to training the next generation," he said. As someone who enjoys attending talks and lectures, many of Ir Chan's roles in the HKIE are also related to continuous professional learning. Ir Chan joined the HKIE as a corporate member in 1993. 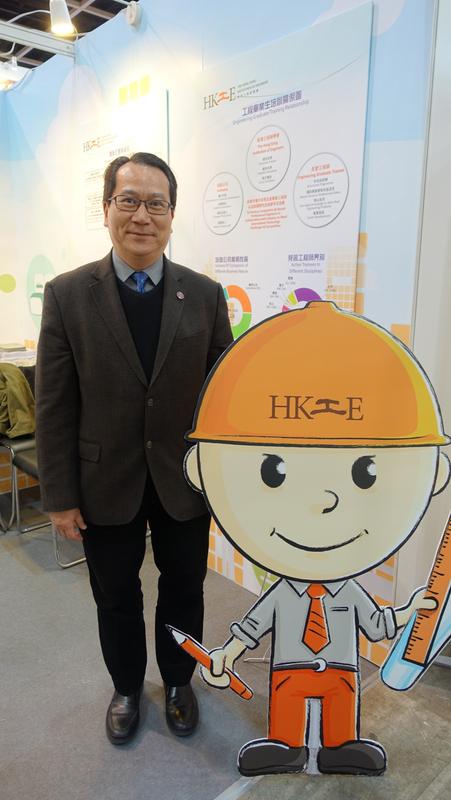 From 1999 to 2003, as a committee member of the CIBSE Hong Kong Branch, he was instrumental in organising more than a hundred CPD activities and social activities, for the Branch and also jointly with the HKIE's Building Services Division. Nominated to the Council in 2004, he has served on a variety of committees, including the Training Committee, the Discipline Advisory Panel, the HKIE Transactions Committee, the Journal Editorial Committee, the Administration Board Committee and the Qualification and Membership Board. He has been a professional assessor for the Electrical Discipline since 1998 and the Building Services Discipline since 2003. 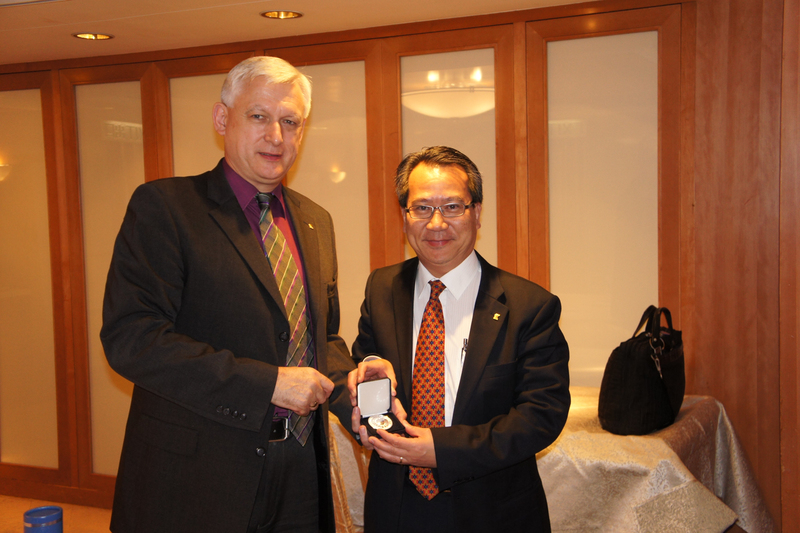 Having served as the Branch Chairman and Council Member of various world-renowned engineering institutions including the CIBSE, the IET and the IHEEM, Ir Chan has consolidated his knowledge of best practice and hopes to bring a newer and more international perspective to his profession as President, by boosting collaboration between Hong Kong and places from around the globe, thereby broadening the horizons of both veteran and young professionals. Previously as Vice President, Ir Chan has organised activities that aim to educate the public at large as well, notably an exhibition at the Hong Kong Science Museum of the latest technologies employed by the engineering profession. Not surprisingly, the theme of his session, "Engineering a New Horizon from 70 Years' Foundation", has a learning element to it. In addition to celebrating the establishment in 1947 of the learned society that preceded the HKIE, the Session will also look forward to the future, highlighting the skills and knowledge engineers will need to further their career in the age of smart cities and automation. An international conference on smart cities has been planned for 2018 and various promotions targeted at primary and secondary school students are also in the pipeline. Ir Chan's career places him in good stead to offer the perspective and encouragement for a review of the past and preparations for the future. "Since the end of the 1980s, the building services industry has changed so much. Since the late 20th century building services design had been based on a prescriptive approach developed on international standards, design guides, legislative and statutory requirements. Now, with increasing customers' expectation and building complexities, building services designs have become more sophisticated. We have to apply computer simulations, to verify that the designs work and are not just in compliance with codes and standards. This demands more professional skills," Ir Chan said. 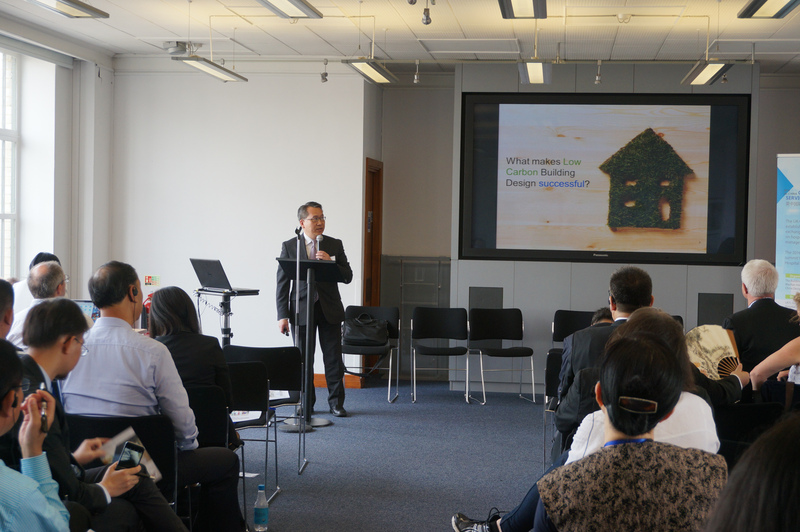 "We have to adopt a more holistic approach to projects and come up with innovative solutions, become more knowledgeable and upgrade our skills to meet the challenge of making more sustainable buildings." A sub-theme of the session will be the migration to the new, competence-based approach to the assessment of prospective members' experience. There will also be a continued push to encourage more women to become engineers. There are more women studying for their engineering degrees today and, according to Ir Chan, the department of building services engineering at WSP has hired a good number of them after their graduation. No doubt he will instil in them the importance of hard work and continuous learning. As President, Ir Chan will mentor not only the graduate engineers in his firm, but also young members of the HKIE from diverse disciplines. "My advice for young engineers is this: build a solid foundation based on basic engineering principles; learn continuously to be up-to-date; build communication skills and adopt a positive attitude; and have a human approach to environmental, sustainability, and climate change issues," he said. Ir Chan will most likely encourage them to maintain work-life balance too. He spares time to participate in voluntary and charity works and is a founding member and head of his company's volunteer team. Since May 2010, he has led 160 volunteer members to support local charities and the community, clocking up more than 9,900 volunteering hours over the past years. Family is also Ir Chan's priority and he enjoys spending quality time with his wife and daughter by hiking, swimming, playing badminton, and going to the cinema with them. As an eager learner himself, young engineers can expect the mentoring process under Ir Chan to involve mutual learning that benefits not just the participants, but the profession as a whole.